This was the first time I’ve ever heard of these little pastries called kolaches. I was intrigued by the similarity in appearance to danish, but they are very different. 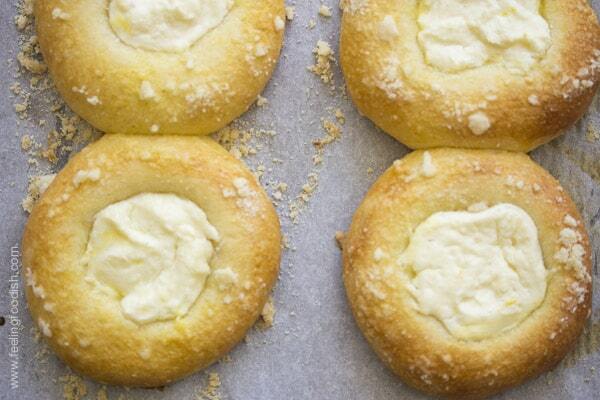 These are make from a yeast-based dough, and when baked, they taste like a filled sweetened bread. 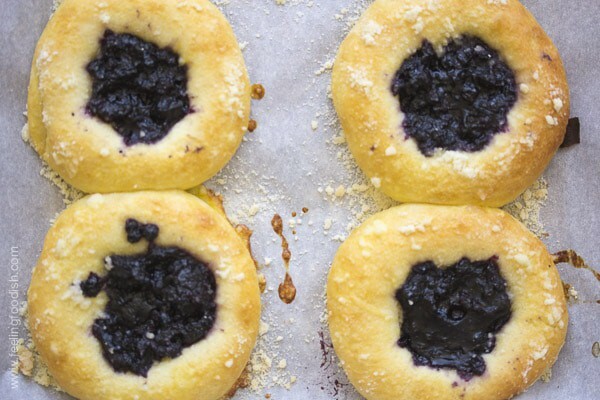 We made two versions – a sweetened cheese filling and a blueberry filling and the blueberry filling was the winner in our house. It was just the perfect sweetness and thickness. Easy too! Just combine 3 ingredients and microwave! 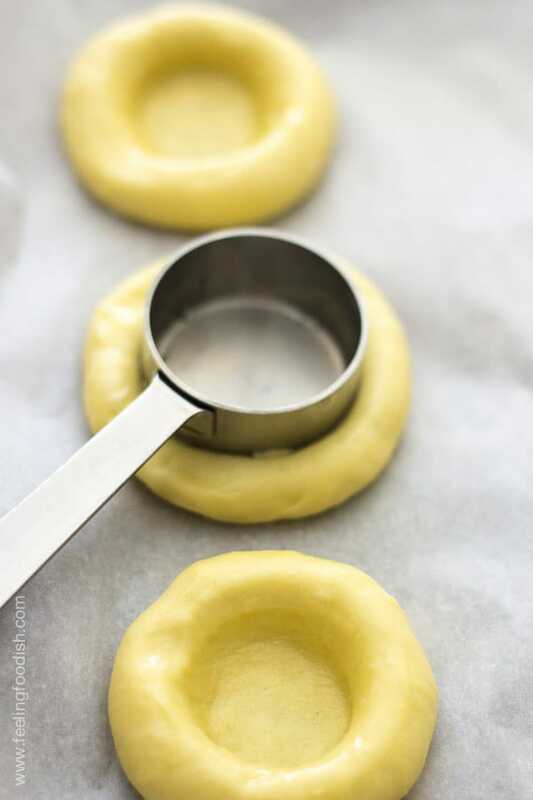 Than you take a 1/3 cup dry measure (or anything that measures 2 1/4 inch in diameter) and squash down the little balls to form a cavity that you will fill with the sweetened cheese or fruit. The balls are much smaller than 2 1/4 inches so I was a little confused to start but it worked out just fine. Make sure you grease and flour the bottom of your cup or it will stick to the dough. This dough is very sticky! Afterwards, brush everything with egg wash, then fill with the cheese or fruit and sprinkle the sides with the streusel topping. Bake as directed, being careful not to overbake. Mine were a tad dry and so next time, I will take them out of the oven before they develop too much color. I think these would have been perfect if there were a few shades paler than this…. Still delicious though and they were all gone quickly! I think these would be great for a special occassion weekend breakfast.. Combine all ingredients in a microwave safe bowl and mix well. Microwave on high for about 6 to 8 minutes and stir halfway through cooking. 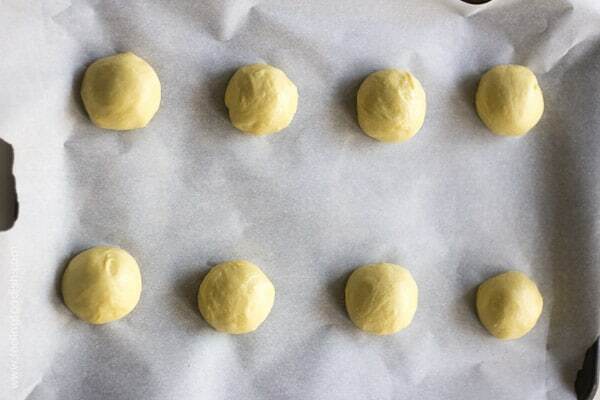 Bake for 20 to 25 minutes (do not over bake - you want them very pale in color) and let cool for about 20 minutes. **I thought the cheese filling wasn't sweet enough. Try the filling with the recommended sugar (3 tablespoons) but add another tablespoon or two to sweeten if needed. For the dough on steps and 3 kneading in the mixer is using the dough hook? The flour it says 3.5 cups or 17.5 ounces and if that’s by weight it doesn’t add up. Each cup of flour should weight 4 1/4 ounce or 120 grams. Good point! I probably didn’t notice this because I always weigh – it’s so much easier, and more accurate. That said, I double checked the original recipe and it looks wrong as it states 3.5 cups flour (17.5 ounces). I used the weight so I will update the recipe to reflect 4 cups (actually 4.1 cups) but that wouldn’t make sense. Thanks for pointing that out! Just wanted to know that as far as I know, CC/ATK used the dip and sweep method for measuring flour, so 1 cup of flour should actually weigh 5 ounces, or 140 grams, which means that 17.5 oz for 3.5 cups is correct. Thanks for the recipe! I’m planning on doing it this week. Thanks, Bunny! According to the King Arthur master weights chart, their AP flour weighs 4.25 ounces per cup, so that is what I go by – I am guessing for most other brands, it would be 5 ounces per cup – good to know! These look really good!! 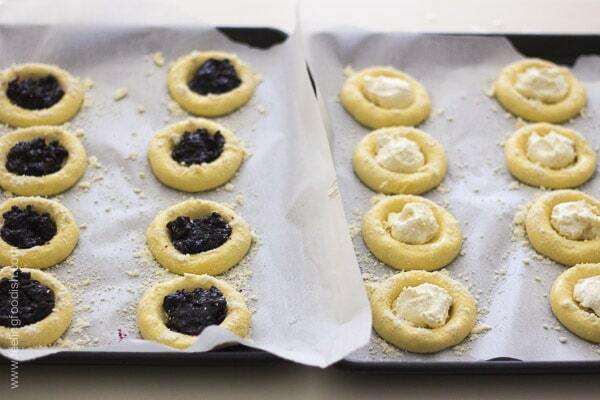 I am czech and I know how to make those and how thsy taste. It makes me feel proud, that you like those and make those ! I made these yesterday, and they turned out so good! 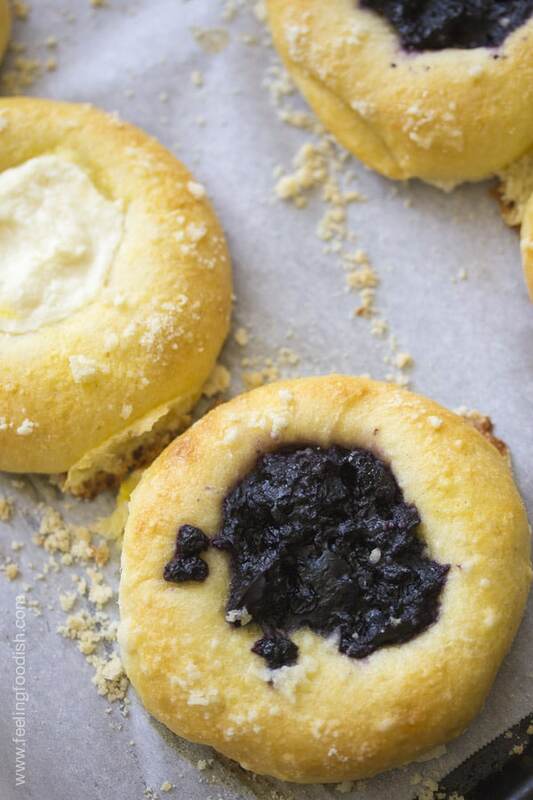 We use to live in TX and really miss kolaches. Thanks for the recipe! My husband has already requested that I make them again next week for a meeting at work. 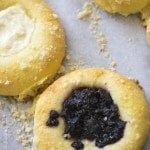 Such sumptuous Kolaches! Can’t choose which I like better, so one of each would be perfect with my morning coffee! Thanks, Deb! I couldn’t decide either!